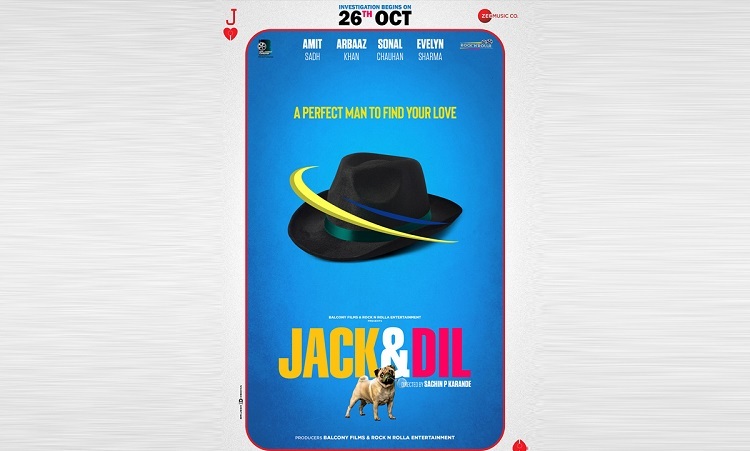 The film 'Jack & Dil' is a light-hearted comedy-drama which starrs Arbaaz Khan, Sonal Chauhan, Amit Sadh, and Evelyn Sharma. The film is helmed by the director Sachin P Karande. It offers a good opportunity to relive your comic self and it turns to be a stress-buster from weekday tensions. It also gives you a dramatic experience which serves the comic scenes with all its essence and flavors. The film explores the characters very well, as it is the foundation and basics of the character which need to be defined according to the film. The characters are beautifully polished as the perfect casting has added much more meaning to the roles. Arbaaz, Sonal, Amit and Evelyn tend to lighten up your weekday-stress with the apt performance. The film emphasizes on good music composition as it sets you in a romantic theme. The songs are delightfully composed and the film lives up to your expectations. The film is highly unmissable family drama which makes you laugh at your heart out.